A strip mall in Springfield, Virginia, was evacuated Thursday after a fire broke out at a restaurant in the building. 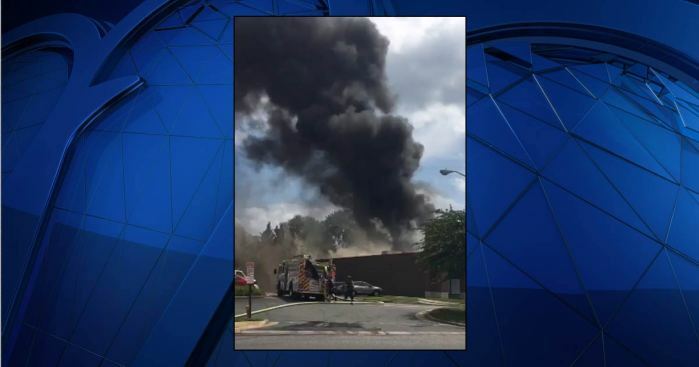 Fairfax County Fire and Rescue Department said firefighters were called to Dera Restaurant at 7030 Spring Garden Drive shortly before 2:30 p.m. Smoke could be seen billowing from the roof of the Spring Garden Plaza an hour later. Firefighters have since extinguished the fire. It is not known at this time if anyone was injured or what caused the fire.